David Reynolds is Professor of International History and a Fellow of Christ's College, Cambridge. He is the author of numerous books and publications, as well as the writer and presenter of several BBC programmes. His award-winning book, The Long Shadow, explores the relationship between the Great War and twentieth-century history. Prof. Reynolds’ talk will focus on the complex legacy of Great War poetry to this day. David Reynolds is Professor of International History at Cambridge and a Fellow of the British Academy. 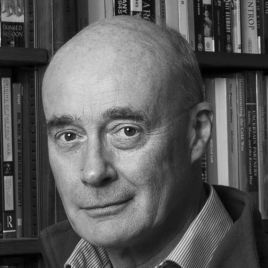 He is the author of eleven books, including In Command of History: Churchill Fighting and Writing the Second World War (Penguin) – awarded the Wolfson Prize – and, most recently, The Long Shadow: The Great War and the Twentieth Century (Simon & Schuster), which won the Hessell-Tiltman Prize. Both books were the subjects of films that David has written and presented for BBC TV. His radio credits include the award-winning BBC Radio 4 series and book America: Empire of Liberty.